For me, going as fast as possible is the most fun thing about RC cars. As an adult, the top speed is the first thing I look at when purchasing a new remote control car. There are many different types of RC cars, and among these there are many different power sources. Some are powered by gas, some by nitro, and others by electric. In general, nitro cars are going to be the fastest. This is what pros use during national championships. Although all of the cars in this list are stock, they can be made even faster by upgrading them. The top speeds in this list are all general guidelines, and can be made to go faster with mods. To get an additional boost, try removing weight, upgrading the battery, or swapping the motor. We put together a list of the fastest remote control cars on the market, and also give a detailed review of each car. At the bottom of the page is some additional information about how to get the maximum speed out of your remote control car. If you are interested in speed but don’t have much money to spend, check out our post on the fastest RC cars under $50. 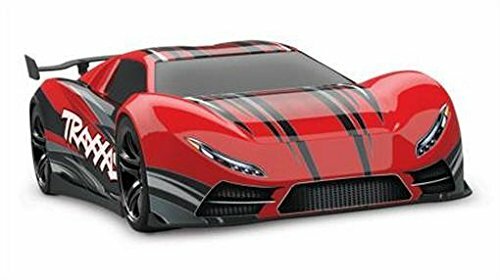 The fastest remote control car in this review is the Traxxas XO-1 AWD RTR 1/7 Supercar. This thing has insane speed. It tops out at over 110 MPH and is scary fast on the track. This car is so fast, it is only to be used by drivers 16 and older. The Traxxas XO-1 is the fastest stock RC car on the market. It is a 1 to 7 scale car, powered by a monster brushless electric motor. A motor this strong needs a specially designed motor mount, so it is held in place by a 8mm aluminum motor mount. It uses a single-speed transmission for a smooth, powerful ride. 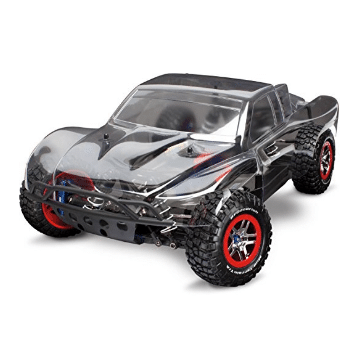 This RC car is highly customizable, with the ability to adjust multiple parts for optimal performance. This is a top of the line RC car, that is faster than any other RC we have seen. 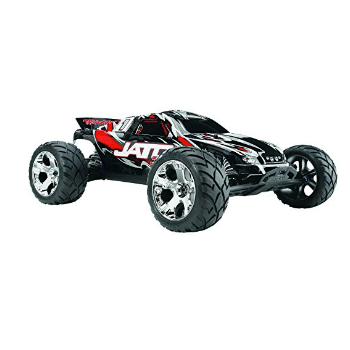 It is the best RC car on the market and therefore, it can be had at a hefty price. The 2nd fastest RC car is the Traxxas 55077-1 Jato 3.3. This nitro fueled car blows all of the competition away in its class. The Jato comes ready to run, and all it needs is nitro fuel to get it going fast. This car is certainly not for beginners, as it is incredibly powerful. It is powered by a nitro fueled, 3.3 engine that propels the car to mind-blowing speeds. The car has many features that makes it a great ride, in addition to going extremely fast. For example, the anaconda performance tires give it excellent grip on any racing surface. As well there are front and rear sway bars that give stability for cornering. This car has received great reviews, with most of them being 4 or 5 star. People who bought the car thought that it was very fast for the price and fun to drive. This is the fastest stock nitro car that we have seen. The competitive price makes it even more attractive. 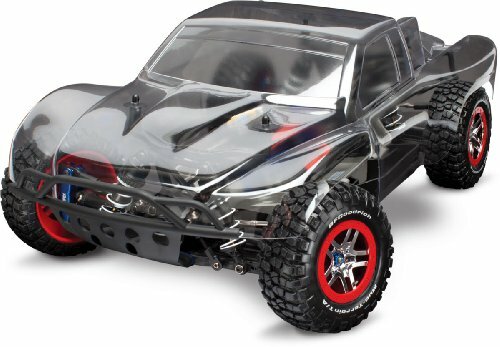 The third fastest adult RC car is the Traxxas 1/10 Slash 4X4 Brushless Short Course Truck . Don’t let the name throw you off. Just because it is a truck does not mean it is fast. The truck classification has more to do with the ground clearance than the speed of the vehicle. Overall, this is one of the best RC vehicles we have seen. Period. The amount of quality that you get for the price is astounding. As well, product testers and customers alike give it overwhelmingly good reviews. 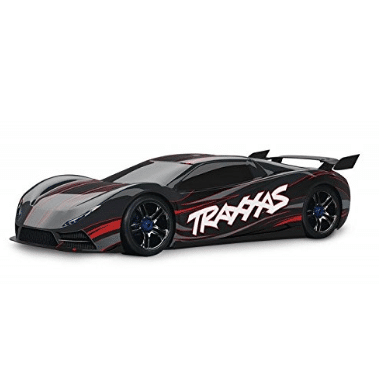 The speed of the Traxxas slash is derived from its Extreme Brushless VXL motor, which is capable of pushing this car to speeds of 60 MPH +. That is faster than my first car could go. The Slash also comes with many specialized parts that allow it to handle well at those high speeds. It has a LCG chassis with adjustable sway bars, as well as a silicone differential. The shocks are titanium coated, making them ultra strong. There are also many aluminum parts on this truck, creating a lightweight, but durable platform. Some RC cars are incredibly fast, but handle terribly. As well they perform poorly on anything other than the race track. That is not the case with the Traxxas Slash 4×4. It out-performs other cars in its class and price range with ease. All of this for an affordable price. 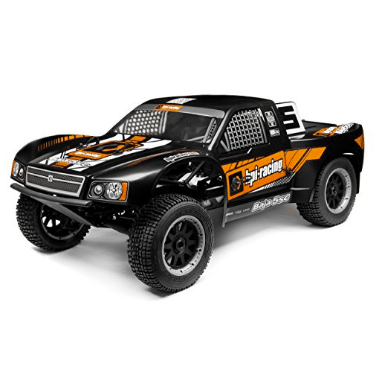 The last car on our list is the HPI RACING 110675 Baja 5SC-1 Truck. Even though it is last on our list, does not mean it is slow. In fact, this car is still lightning fast, capable of reaching speeds of over 40 MPH, which is more than twice as fast as most people can run. The Baja truck is made for any terrain, as it comes with a metal geared transmission, that maxes out at 8k rpms. With a bit more power than the previous version of the truck, it cruises past all competition. This truck is made for short course racing, and its features reflect that. It is powered by an insane 26cc engine, that is capable of running longer than 30 minutes per ride, due to the large tank size and fuel efficiency. All of the features have been updated in the latest version of this model, including knobby all-terrain tires that allow you to power through mud, snow, water, grass, and whatever else the world throws your way. 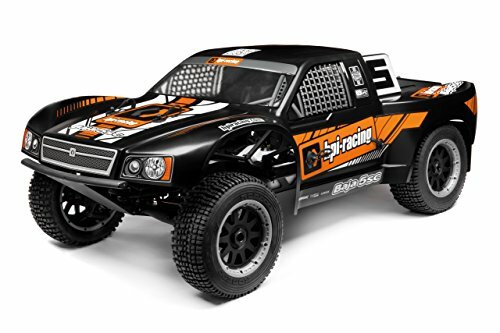 The HPI Racing Baja is a truck that meets at the perfect crossroads of high-speed racing, and everyday practicality. If you want a vehicle that goes fast, but does not get stuck in even the thickest of mud, this is the RC car for you. At an all-time low price , now is the time to get this car. – Get on the flattest terrain possible. Believe it or not, the ground you are riding on makes a huge difference. The more friction there is, the slower you will go. Opt for racing on concrete or asphalt over dirt or grass to optimize speed. – Drive in a straight line. Even making the slightest turning back and forth will slow you down. Straighten out those wheels and you will gain speed quickly. – Use the best battery you can afford. In electric RC cars, the battery is everything. getting a high quality battery will not only extend your total drive time, but it will increase your top speed. For maximum power boost, find one with a high discharge rate. If you follow all of these tips you should easily be able to reach the top speed of your car. 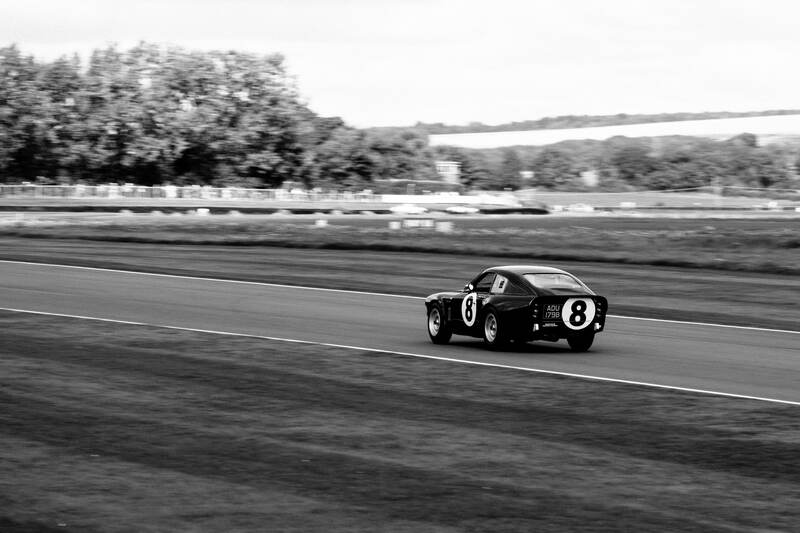 If these cars are too fast for you, or you are looking for something else, be sure to check out our other reviews.